Richard Porter (10 November 1964 – 4 January 1990) was a former drug dealer who rose to prominence in Harlem during the War on Drugs in the mid-80s; police described him as being a “middle-level crack dealer” who “sold about $50,000 worth of crack a week”. The 2002 film Paid In Full was based on Rich and his partners Azie Faison and Alpo Martinez. Rich was born in Harlem, New York and began selling drugs at the age of 12, rising through the ranks of the drug trade in Harlem. He became known for his flamboyant and high-profile lifestyle and was rumored to have never worn the same outfit twice and that he owned over a dozen luxury vehicles that he kept in a garage in Manhattan during the height of his career as a drug dealer. He was murdered on 3 January 1990 at the age of 25 and his body was found the next day near Orchard Beach, Bronx. He was shot several times in the head and chest and the police found $2,239 in his pocket.His friend and former drug dealing partner Alpo Martinez was charged and convicted of his murder along with an accomplice, Gary. On 5 December 1989 his 12 year old brother Donnell Porter was kidnapped in Harlem on his way to school and then had his finger cut off in order to extort $500,000 in ransom money from Rich. He was eventually killed and his body was found on 28 January 1990, a mile away from where Rich’s body was found and less than a month after Rich’s murder. The 2002 film Paid In Full was based on the life and death of Rich, and his involvement in drug dealing along with Azie Faison and Alpo Martinez. His character was portrayed by fellow Harlem native Mekhi Phifer. “New Rich Porter, the way I flip quarters” – American Gangster. 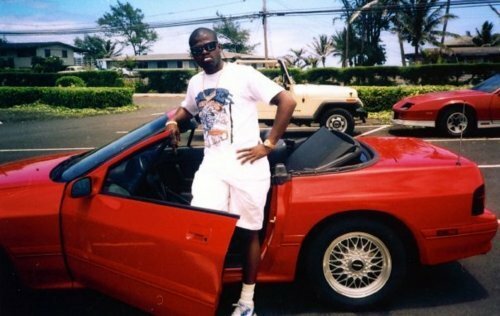 “The twin brother of Rich Porter, separated at birth, I got the soul of a hustler” – There’s Been a Murder. “This is Rich Porter, part two” – opening night of the Barclays Center freestyle. “Feeling like I’m Richard Porter, I’m really balling”, “They got me feeling like Rich Porter” – Rich Porter. “When I step up in the club I’m feelin’ like Rich, Porter that is” – Niggas In Paris freestyle. “Rest in peace to Rich” – Ghetto Qu’ran.